Morikami Gardens is the place to visit if you've had enough of fast paced theme parks. It is a tranquil oasis with a theme of a different sort. If you have any interest in things Japanese, this 188 acre site is a must! 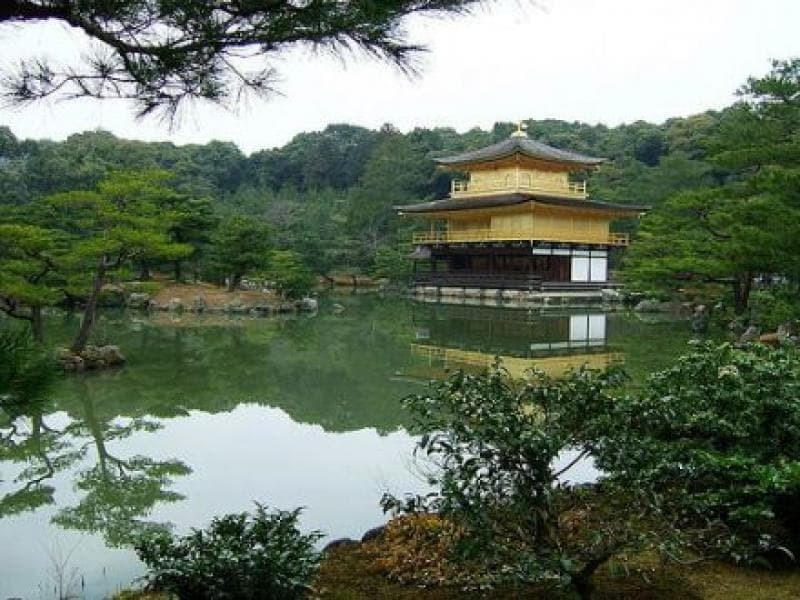 This attraction is officially known as "The Morikami Museum & Japanese Gardens". For convenience, we'll use the short form here. Since its opening in 1977, Morikami Gardens has been a center for Japanese arts and culture in Florida. Morikami features changing exhibitions in its galleries and monthly tea ceremonies performed in its Seishin-an tea house. There is also an educational outreach program with local schools and organizations, and Japanese traditional festivals celebrated for the public several times a year. The original building, named the Yamato-kan, is designed to resemble a Japanese villa. The Yamato-kan has a permanent exhibit related to the history of the Yamato Colony, a Japanese farming community in South Florida 100 years ago. Yamato Road in Delray Beach is named for the colony. The Yamato-kan also has a 225 seat theater, authentic tea house with viewing gallery, library, classrooms, museum store, cafe and lakeside terrace with Japanese courtyard garden. The Morikami Museum Collection houses 5,000 Japanese art objects and artifacts, including a 500-piece collection of tea ceremony items, more than 200 textile pieces and recent fine art acquisitions. The Museum itself provides a grand entrance to the gardens. There is a permanent collection of Japanese art and artifacts; as well as items on loan from other museums and private collectors. As many times as I’ve been there, the special exhibits are always exciting. Some of my favorites have been kimonos, ancient pottery and antique netsuke. The museum shop is always tempting and I recommend having lunch at the Cornell Café (featured on the TV Food Network). It is unassuming in appearance but the Pan-Asian fare is delicious and reasonably priced! An almost mile long wandering path will take you through six authentic style Japanese gardens. The entire area is full of old pine trees, beautifully placed stones and flowering plants. The water features are exquisite. Make a point to view the bonsai garden. As a bonsai aficionado myself, it’s always part of my visit. Speaking of bonsai, an expert on this beautiful living art form is Mary Miller of Mount Dora, Florida and formerly from Homestead, Florida. Mary has contributed to this web page, and is a long time lover of Morikami. 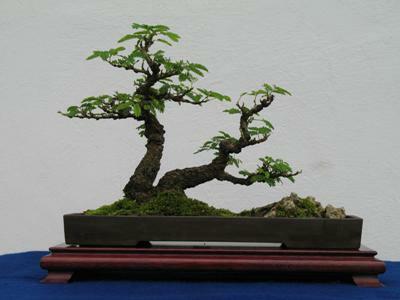 The photo of the bonsai tree is from her web site. Check her out at Bonsai Mary. The Morikami is west of Delray Beach and is a convenient day trip from many Florida cities. The traditional Japanese festivals are always filled with food booths, things oriental for sale and demonstrations (everything from bonsai and Taiko drums to tea ceremonies). Take the kids, there’s plenty of room to run and wide open spaces with picnic tables. Tuesday - Sunday, 10:00 a.m. - 5:00 p.m.
Closed Mondays and major national holidays, including Thanksgiving, Christmas, New Years Day, Easter and Fourth of July. Information on special events and exhibits is available at Morikami Gardens. Morikami Gardens is between I-95 and the Florida Turnpike west of Delray Beach, Florida. From Linton Boulevard take Carter Road south to Morikami, and from Yamato Road take Jog Road north to Morikami. The way is well marked with signs. As you leave Morikami Gardens you will pass the world headquarters of theAmerican Orchid Society. Over three acres of lush gardens full of rare orchids. Don’t be concerned about the weather there is also a 4,000 sq. ft. greenhouse to tour! The colors, shapes and fragrances will amaze you. It's definitely worth a visit.